Lots of things change around the holidays; our schedules, our home decorations, and all sorts of new, exciting foods are laying on the counters and tables. 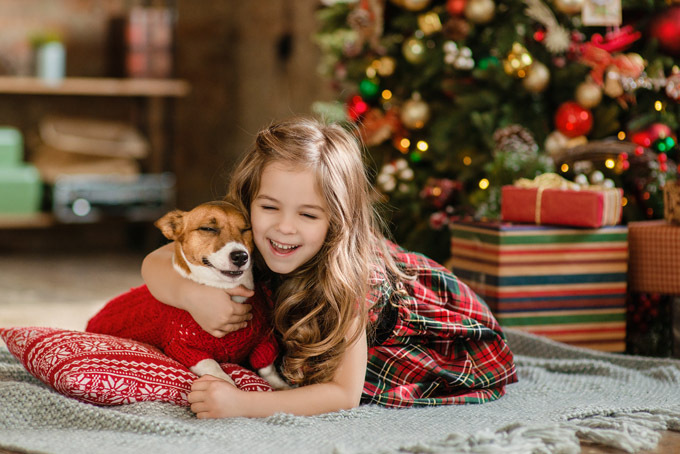 It’s good to take a moment to think about what we can do to prevent any accidents that could jeopardize the safety of our dogs this holiday season. Nobody wants to spend the holiday in an animal emergency center. You read that right. 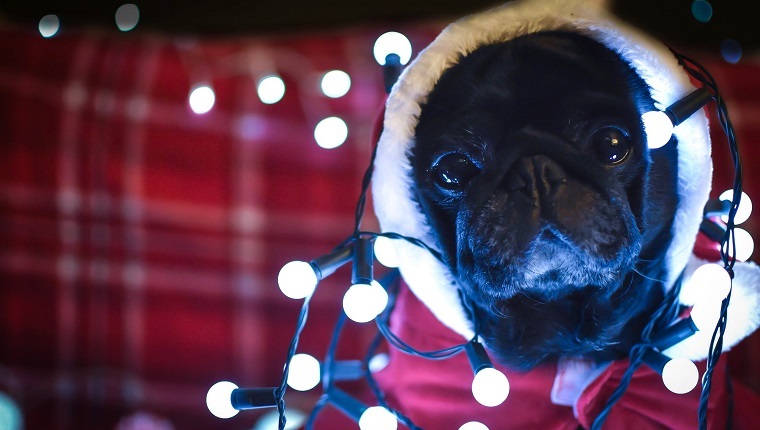 Pets start about a thousand house fires every year, so be careful with those menorahs and holiday candles. Place them in a safe location out of the reach of any pets. Most of our dogs have full run of the house, which means they get into everything, even the tree. The Christmas tree can be full of potentially deadly dangers. A fake tree is better for homes with dogs, but if you are going to have a real tree, take extra precautions. Make sure it is well-watered so that the pine needles do not dry out and fall off. If your tree gets dry and the needles fall off, the sharp needles can puncture the internal organs of dogs if they are ingested. They are also toxic. Also, keep an eye on the water at the base of your live tree. It could contain fertilizers that seep out of the tree, and it can also go stagnant and become a breeding ground for bacteria that could make your pup ill if they drink it. 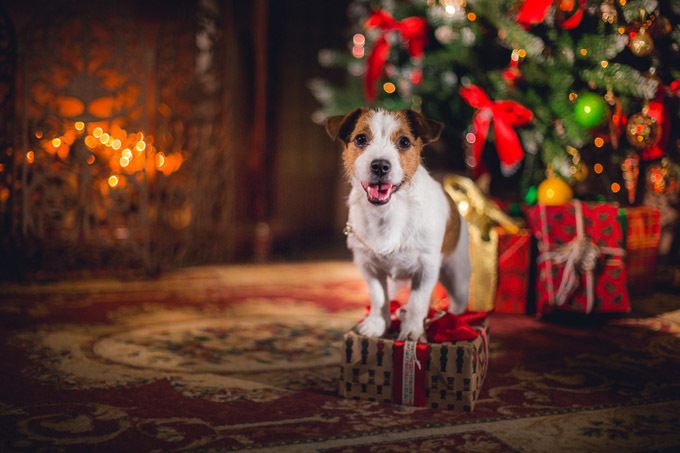 Firmly anchor your tree so that an excited pup with a wagging tail can’t easily knock it over. Secure decorations to the tree so they won’t fall off. Ornaments look a lot like toys to dogs, and you don’t want them to ingest broken glass or have it stuck in your dogs feet. 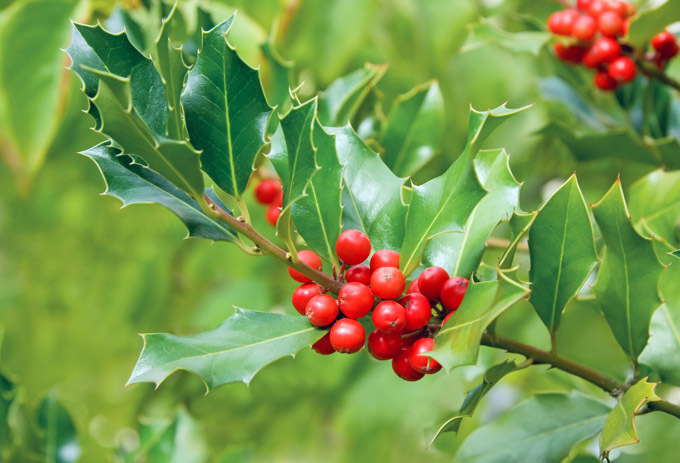 Holly can cause nausea, vomiting, and diarrhea in dogs. Mistletoe can cause gastrointestinal upset and cardiovascular problems. Artificial versions of both of these plants are going to be a much safer option if you have dogs in your home. Hopefully by now you are aware of the toxicity of chocolate and xylitol–an artificial sweetener–for all pets. Make sure to keep your pup away from food tables and unattended plates. Watch those cocktails, too. If your dog gets a hold of alcohol, they could become weak, ill, and may even go into a coma, possibly resulting in death from respiratory failure. Cocktails are no laughing matter when it comes to our furry family members. Make sure all guests know that you have a dog, and let them know what the rules are ahead of time to avoid problems later. It’s important that people know to keep doors shut so your dog doesn’t get out. Let them know that feeding your pup table scraps is against the rules. Supervise children at all times, and let them know if your dog likes attention or would prefer to be left alone. 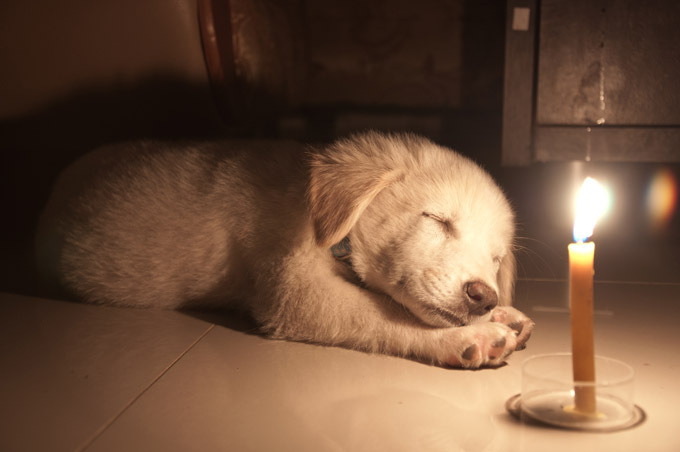 You may just want to designate a quiet room for your dog when having company to keep everyone safe, secure, and happy. 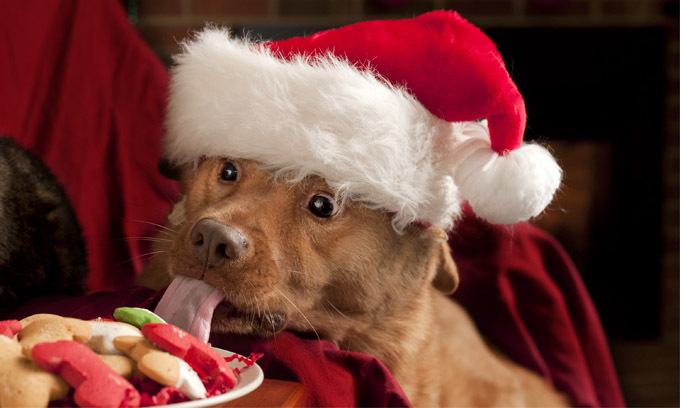 What are some other helpful tips that help you get through the holidays with your pup? Let us know in the comments below!